John Robie and Francie Stevens depart beneath the old stone gate of the Sanford Villa. They are followed, quite conspicuously, by the police. The uber-stylish powder blue Sunbeam Alpine convertible cruises across a scenic bridge. In the distance the Mediterranean and promontory of St Jean cap Ferrat are in full view. Pan left and viewers are treated to an expansive view of the ancient, cliffside village of Eze. 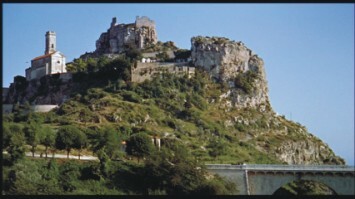 The ensuing driving scenes (in which Grant and Kelly discuss the location of the picnic site) were obviously shot in Hollywood using rear screen projection and feature (most likely) the upper corniche in the background. This is not the same road, as has been widely reported, on which Grace was killed in a tragic car accident in 1982. 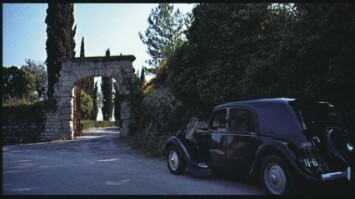 Princess Grace’s vehicle ran off the D37 just below the village of La Turbie. 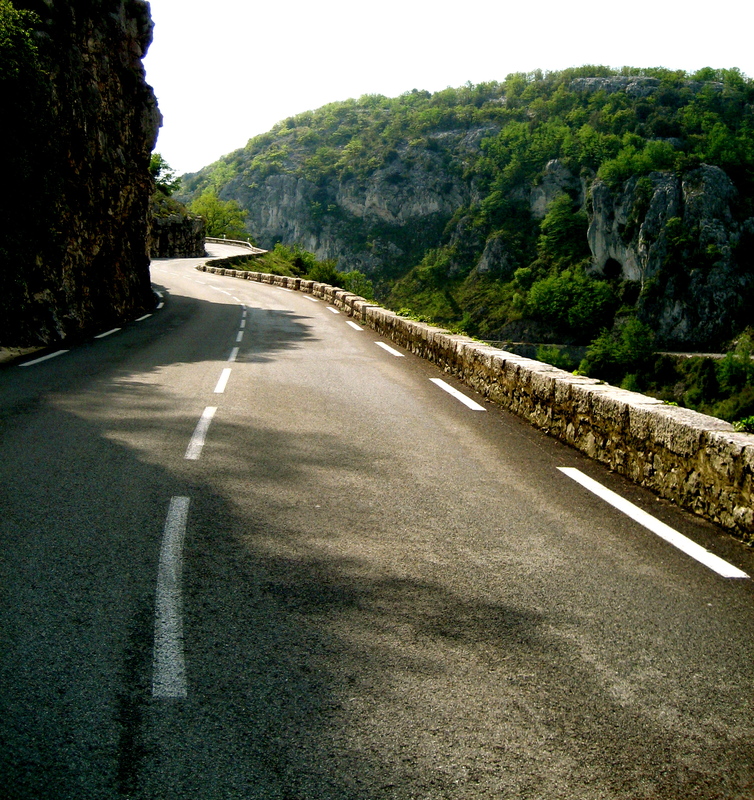 The south of France has everything for those of us who feel the need to add a little speed to our lives. Think twisting mountain switchbacks, sun-drenched coastal roadways, a populace that enjoys and appreciates fast driving, and some of the best scenery on the planet. 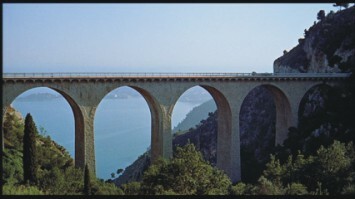 There are actually three corniche roads, the lower (basse), middle (moyenne), and upper (Grande), that run from Nice to Menton (the last French town before the Italian border). In order to get the best bang for your buck from each of them you need to have a little advance knowledge. Let’s begin with The Lower Corniche. Don’t even consider hopping on the lower corniche during holidays, the summer season, Friday afternoon, Sunday afternoon, or at any time that could be even slightly construed as rush hour. In fact, if you have just an inkling that there may be traffic on the road, forget it.